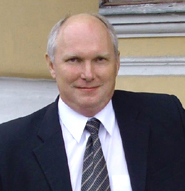 2009-Present: Director, owner, "Faraday Lab Ltd.," scientific research company, experimental laboratory and printed English version magazine New Energy Technologies. Editor-in-Chief. 2000-2001 Manager "Internet-Arkhangelsk Ltd.," IP gateway project with Net2Phone in St. Petersburg. 1997-1999 JSC BCL "Baltic Communication Ltd.," data transmission engineer. Installation and maintenance experience: Newbridge 3600 digital cross-connect equipment, NOKIA equipment and other PDH (primary digital hierarchy) equipment. SDH equipment TN1-X and TN1C. 1993-1997 JSC "Comincom" - Combellga, Engineer-expert. Telecommunication network planning, installation, testing and technical support for radio-relay 2 Mbps lines, VSAT 2x64 Kbps, local lines for data telecommunication, some experience with PABX equipment. 1992-1993 Private company INTEL. Research projects in electronics. Director, owner. Experience in business planning. 1991-1992 Private company VlaS. Publishing business. Financial Manager. Some experience in contracts and accounting. 1989-1991 "Granit" Central Scientific Research Institute, St.Petersburg. Engineer. Wireless telecommunication. Designer experience. 1984-1989 Military Forces of USSR. Officer. Telecommunications. 1979-1984 Telecommunication University, St. Petersburg, student. Telecommunication University, St.Petersburg, wireless communication engineer. Honours diploma. Graduated in 1984. Director, scientific research laboratory Faraday Lab Ltd. Expert of The Russian Physical Society. The Application of Potential Energy for Creation of Power, New Energy News, p. 1-5 (May 1994). Power from Nothing (Inner Structure of Zero), New Energy News, May 1994). The Transmutation of Chemical Elements and Stokes' Principle, New Energy News, p. 7 (Jun 1994). Description of F-Machine and F-Transformer, New Energy News, (Jun 1994). The Longitudinal Wave Generation, New Energy News, p. 10 (Jun 1994). The Over-Unity Electromagnetic Transformer as Information System, New Energy News,p. 11 (Jun 1994). Free-energy interpretation of the Pons-Fleischmann Effect, New Energy News, p. 9-10 (Jul 1994). Unipolar Generator with Plasma Disk, New Energy News, p. 13-14 (Aug 1994). Potentials in Power Generation, Newsletter of Planetary Association for Clean Energy, V8, N1 (Sep 1994). The Single-Wire Electric Power Transmission, New Energy News, p. 13-15 (Dec 1994). The Work that is Created by Means of Potential Field, Proceedings of the 1996 International Scientific Conference on New Ideas in Natural Sciences (1996). The Concept of Mass Process, Proceedings of the 1996 International Scientific Conference on New Ideas in Natural Sciences, p. 123-135 (1996). The Concept of Gravitation, Proceedings of the 1996 International Scientific Conference on New Ideas in Natural Sciences, p. 481-491 (1996). International Conference On New Ideas In Natural Sciences, June 1996. Reactionless Propulsion, International Scientific Congress "Space, Time and Gravitation", St. Petersburg (1998). Short version in Electric Spacecraft Journal, N27, p. 30-31 (1997). Trilateral Space-Time Effect, Newsletter of Planetary Association for Clean Energy, V9, N2&3, p. 10-14 (Apr 1997). Free Energy, Magazine of The Russian Physical Society, p. 59-94 (1997). Source of Excess Energy, Infinity Energy, N20, p. 80-81 (1998). Reactionless Propulsion and Active Force, New Energy News, V6, N6, p. 11 (Nov 1998). Highly Efficiency Electrolysis, Hydrogen Energetic Congress, St. Petersburg (1999). T-Shaped Capacitor, Electric Spacecraft Journal, N30, p. 30 (Mar 2000).